Recently, I traveled to Italy to take in the sights of the beautiful countryside, to see some friends and see how the motorsports in Italy is going. I met a man by the name of Ago Alberghino, the owner of HRX Motorsport, a new brand in which Driving Impressions will be joining with to bring into the US. HRX has quite the following overseas among racers and teams but Ago himself is a racer so he understands the core of the motorsports business. HRX specializes in suits, seats, gloves and more for the basic weekend warrior to the professional track racer. Below, you will find details about Ago himself as well as HRX (including a downloadable catalog). All suits are FIA approved and the quality is amazing! The History of HRX Motorsport and founder Ago Alberghino. Mr. Alberghino started HRX as a racer, so he understands what racers need! Co-Founder in 1992 of MOMO CORSE company, partner of Mr. Giampiero Moretti and Manager Director from 1992-2002. 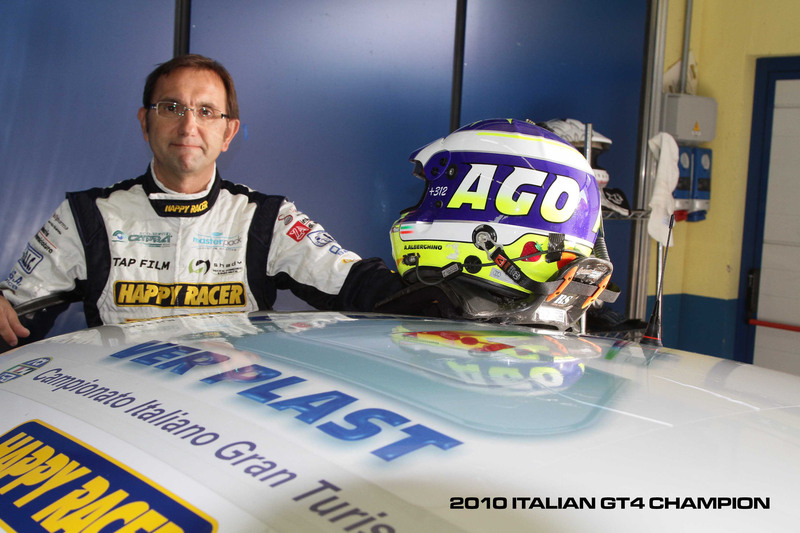 Motorsport Manager for Sparco, 10 years. 1999: Started a company to produce racing seats , called AFRITECH, till 2005. The name of the company is now ATECH. From this experience you can understand that I made a great experience in seats : homologations, productions, etc. Mr. Alberghino then started his own race team in Italy called “ Happy Racer”. HRX then arrived to manage an LMP1 team in 2011 in the WEC (World Endurance Championship) , the first Zytec Hybrid! 1983/1984 Start in racing and won the RENAULT R5 ITALIAN JUNIOR CUP ! Between managing the company and motorsports, racing was limited and returned to racing in 1996/2005, making some races every year but without any strategy, only for fun. In 2005, completed some races in the MASERATI INTERNATIONAL CUP. 2006, started a team and entered the Fun Cup Italian Championship. Best results for an Italian team in the Fun Cup Championship at Spa. In 2010 started racing with a Ginetta GT4 and won the ITALIAN GT4 CHAMPIONSHIP. Started in 2006 and finished at the end of 2012 to start HRX project. Started the project in 2013, but of course thanks to our racing experience and knowledge of the market, the production systems took less effort to make a short time production line, match homologations to help set up the company organization and enter in the market.